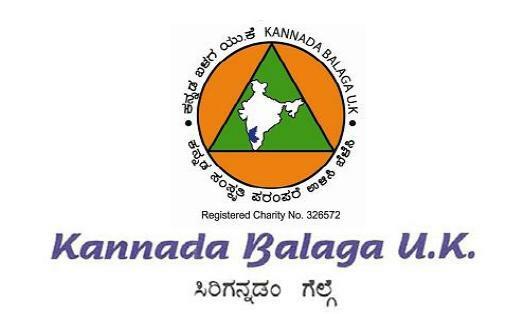 The President and the Executive committee of Kannada Balaga UK are pleased to announce another landmark event on the Bank holiday weekend of May 25th/26th May2013. Details of the venue will be announced soon. Culture, Kannada language and Kannada heritage. To celebrate their 10th VKSS, we are joined by a team of artistes from Karnataka led by Sri Manjunath Sagar, editor of Hrudayavahini an online Kannada newspaper. It is a great privilege for us all to offer this unique opportunity to introduce a number of young artistes to perform here. Some selected eminent people from all walks of life and dignitaries from Karnataka are being invited to attend these celebrations. All expenses to facilitate the performance by VKSS team will be borne by Sri Manjunath Sagar and team. Your EC will take care to ensure that our members will enjoy the best value for their money and time. We hope to make regular announcements through emails and website updates to keep you informed on the preparations and progress of this unique event. Launching a separate special website is also under consideration. As always, the Committee will need publicity as well as help and support from volunteers from our membership, friends and well-wishers. Do keep sending your suggestions and you may contact any committee member by email as convenient. Please keep the above dates free.